.... In Bonar’s day the Scottish church had no substantial library of hymns since they sang metrical Psalms almost exclusively. 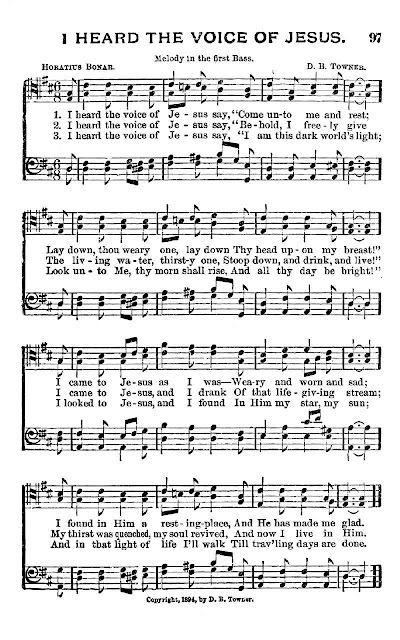 Bonar had begun to write hymns before his ordination when he was serving as superintendent of a Sunday school. 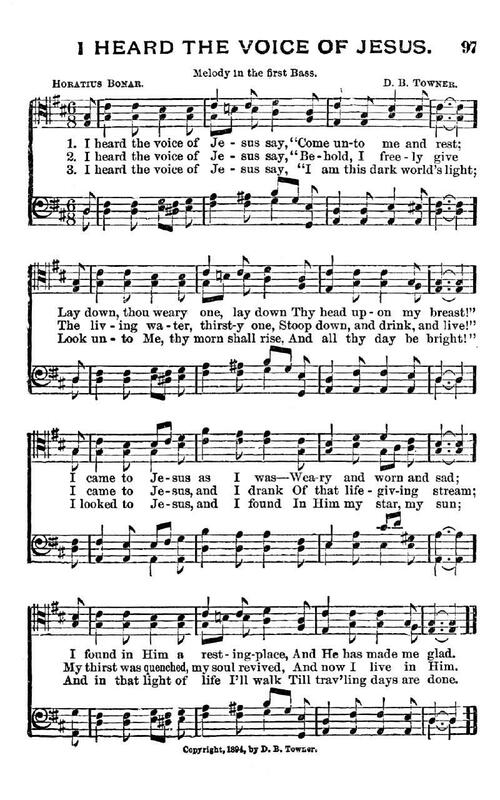 He found that the youth had little love for either the words or the tunes they were singing, so he set out to write a few hymns with simpler lyrics and already familiar tunes. These hymns were received wonderfully. It wasn’t long after this that Bonar, apparently having a gift and an interest in writing verse, took to writing adult hymns. This continued as a habit while he served as pastor, and in the course of his ministry he published a number of hymn compilations. “I Heard the Voice of Jesus Say”...is perhaps his most famous song, having found good reception not only in Scotland but also in the wider English-speaking world.